Admittedly, I’m not usually the biggest fan of film reboots, as they have a nasty habit of dragging classic titles through the mud. For proof, go watch Nicholas Cage in Wicker Man. That being said, when I heard that Robocop, one of the most gruesome, badass sci-fi flicks in the history of mankind was slated for a revamping, I was nothing short of elated. The 1987 original starring Peter Weller was a personal favorite of mine growing up, and I couldn’t wait to see what type of new spin Brazilian director Jose Padiha would put on this classic tale. Though the film doesn’t debut nationwide for several more weeks (February 7), my anticipation has now swelled ten-fold with the release of a new viral video promoting the upcoming reboot, which you can view by following the jump. The movie itself, which stars Samuel L. Jackson, Gary Oldman, and Michael Keaton, was filmed last year between Toronto and Detroit on an estimated budget of $120 million, which is more than nine times the cost of the original film. 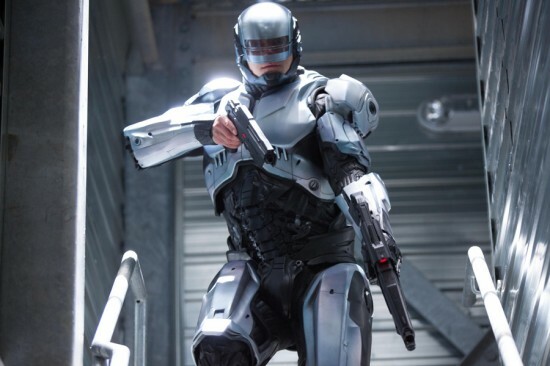 Comment below and let UTG know if you’re excited for Robocop.